What Matters Most In Site Selection? If you read the reports from trade journals you are typically le to believe that the site selection decision is highly objective and fact-based. For example, AreaDevelopment magazine runs an annual survey among corporate executives to rank the factors of greatest importance in site selection. The 26th Annual Survey of Corporate Executives identified highway accessibility and labor costs as the two top ranked site selection factors. In their survey “quality of life” factors were rated low. This study, and others like it, has been the industry standard. Strategic decisions on how to improve the competitiveness of a community for capital investment are strongly influenced by the published results. But, the risk in any ranking study is that it is only as reliable as the list of attributes provided in the questionnaire. And none of these studies include emotional attributes. Quality of life is defined by rational terms (e.g. climate, housing costs, healthcare facilities, etc.). As a consequence, these industry standard studies fall short of assessing the role of emotion and erroneously imply that the site selection decision is coldly objective. The problem is that the argument is fundamentally flawed. The final site selection decision is often more emotional than rational. It is about winning the heart as well as the head of the decision maker and key influencers. Even AreaDevelopment Magazine acknowledged the role of emotion in their article entitled “When Quality of Life Closes The Location Decision Deal”. So why doesn’t the research support the importance of emotion? The answer is simple – because the research studies are not asking the right questions. The factors being measured do not address the emotional aspect of the decision process. In contrast, when I was Executive Director of the Ohio Business Development Coalition, we ran a study in 2011 that had a total of 1,054 business executives responding. The study evaluated 21 attributes we believed could be important in the site selection decision. 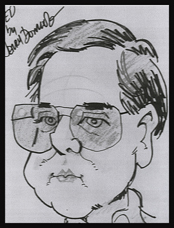 The list of attributes was a combination of rational and emotional factors. We used statistical analysis to understand the relationship between the attributes and group them into 8 categories. The category with the greatest influence on the capital investment decision was an emotional one. We labeled it “Thriving Environment”. It consisted of three emotional attributes – 1) location will allow you to achieve your personal ambitions, 2) location will allow you to achieve your professional ambitions, and 3) you can envision your company thriving there. Interestingly, in our study world-class transportation system exerted the least influence of the attributes studied. How can two robust market research studies using essentially the same methodology run with the same target audience result in such different conclusions? The answer is that they evaluated different things. In our study we purposefully included emotional attributes to assess their importance in the capital investment decision. We did not limit the factor list to rational attributes. Studies like the 26th Annual Survey of Corporate Executives never ask the question, so it is totally understandable their results do not include emotional attributes in the final ranking. What are the implications? First it is important to appreciate that any market research is simply an aid to judgment, not a replacement for it. You should always seek to understand the limits of any study. Only by understanding the limits can you make an informed decision. The AreaDevelopment study is a very well executed study and does a good job measuring what it measures. There is an operational risk in relying exclusively on the results of the study to make decisions on where your community has an opportunity to improve or to define the information you should present to potential capital investors. In my opinion, ignoring the emotional side of the decision process is a serious competitive mistake. While on the other hand, understanding and positively leveraging the emotional factors can be a significant competitive advantage. 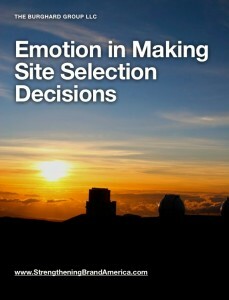 The white paper “Emotion in Making Site selection Decisions” will help you better understand the importance of the emotional factors evaluated in the 2011 market research study I mentioned. Hopefully it will help you make better decisions on how to help your community become more competitive for company attraction, retention and expansion. There’s a lot of truth to what you say about emotion as part of the selection process. I recall more than once where the plant manager recommending the siting selection wanted justification to site a plant near his daughter’s college. Or, the time a major Chinese company selected our community because we made them feel more ‘wanted’ than neighboring communities (and provided the lucky number requested for an address). The list goes on! One of my favorite quotes from a site selector is “Your location may be selected because you are closer to the prospect’s mother-in-law, or because you are farther away from his mother-in-law.” We, in fact, were selected as an expansion location because we were closer. Thanks for sharing this Ed. Interesting ! In the specific tourism field the destination selection decision is even more based on emotions (destination brand & ads, film induced, safety feeling…) and not rational (cheap price, geographical proximity, numbers of things to do or visit…). But the main difference may be the massive effect of brand experience which plays an obvious greater influence in holiday destination selection than site selection for business implementation. Finally…would not MICE destination selection process mix a bit of all this ? Cheers from Brussels. It’s about providing accurate site information characteristics including the economic profile of the area, regulatory considerations, infrastructure/transport capacity and a narrative about the area’s appeal as a place for employees to work. The trick is to accurately understand what the client company is looking for and provide timely responses that provide authoritative answers. Incentives can play a part, but in my experience over twenty years, the local knowledge and passion of the economic development agency prepared to make the effort will be rewarded. Not every time of course..most site selections fade away but the ultimate prize is the one that proceeds! Thanks Ed! I enjoyed reading this and couldn’t agree more. I have also found over the past 20 years that for certain cultures, this issue is even more important than it is for Americans.